Detail of the door on the upper right. 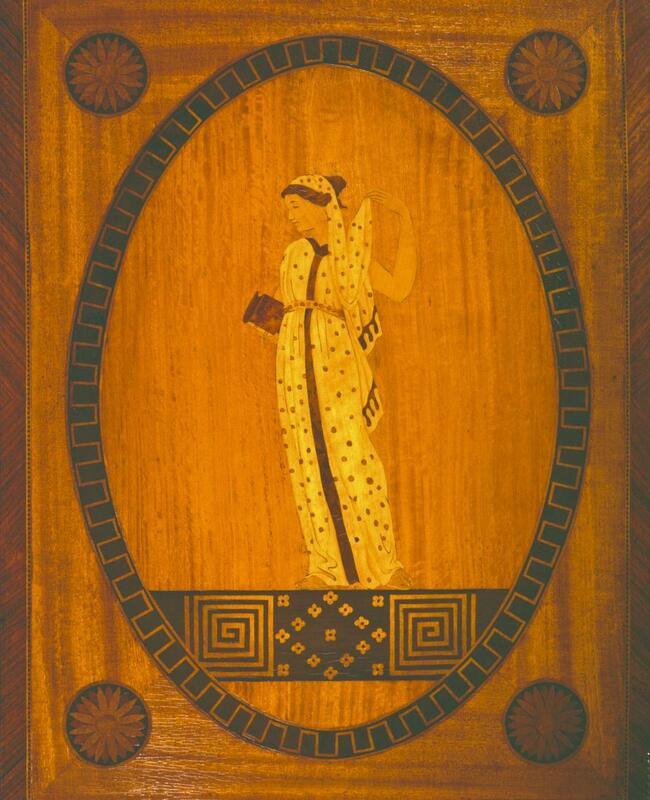 The marquetry decoration on this chest lends it a delicate, light quality despite its large size. Use of ovals, classical figures, the owl on the side panel (a symbol of the goddess Athena), urns, and the geometric "Greek Key" or "meander" found on the bottom skirt are typical features of the Adams Style. Several woods were used in this piece: satinwood, kingwood, rosewood, mahogany, Chinese elm, holly, and ebony. All surfaces are veneered with the exception of the lower case carved molding and feet. The chifforobe is part of a handmade line designed by Tom Handley for the Johnson Furniture Co. A chifforobe combines the wardrobe and the chest of drawers. A clothes cabinet with a door is built on to a small chest of drawers. Its measurements are: 36.5 in. wide, 19 in. deep, 60 in. high. 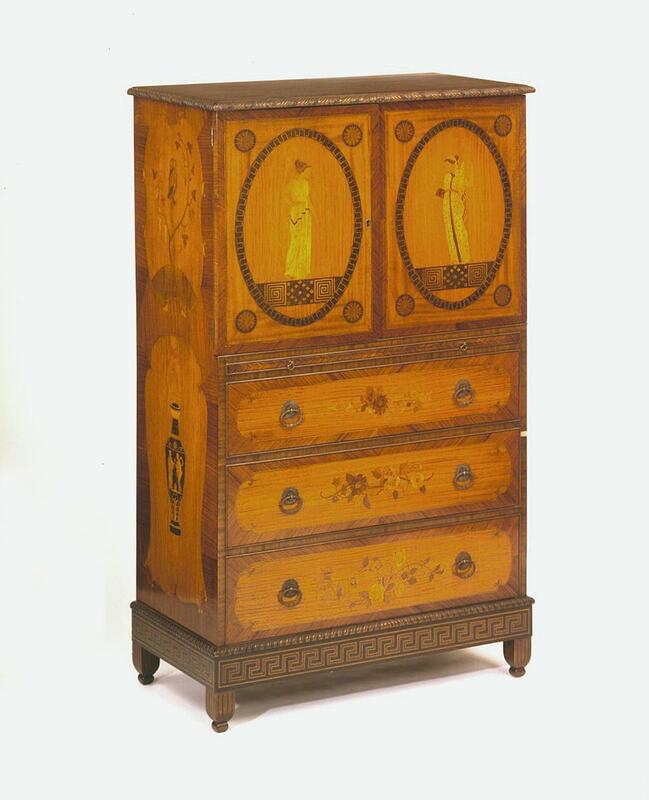 When the Furnituer Museum closed in 1963 the piece was donated to the Grand Rapids Public Museum.